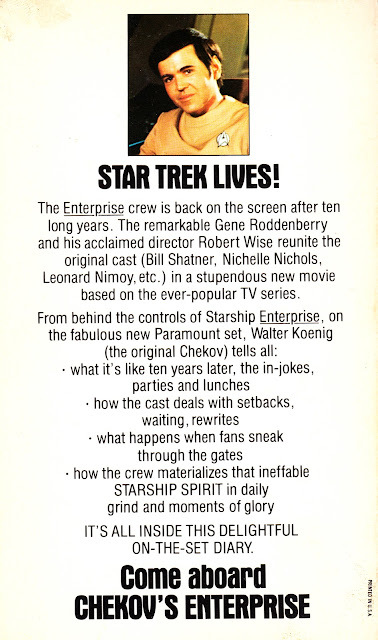 Here's a fun spin-off from STAR TREK: THE MOTION PICTURE (optimistically described here as a "stupendous new movie". 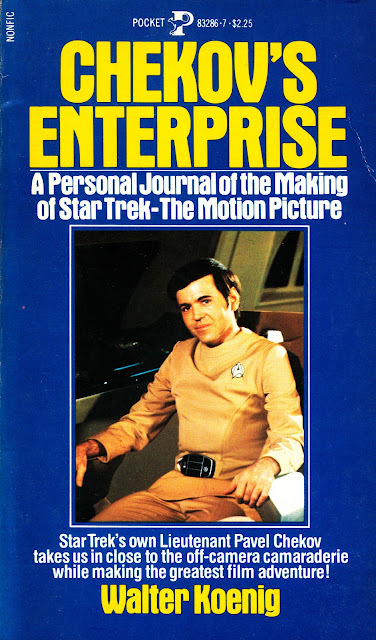 Ahem): Walter Koenig's own on-set diary (with the ultimate over-Shatner's-dead-body title, published in 1980. There's no shortage of Trek books (although official and unofficial spin-off's were conspicuous in their absence when the franchise returned to the big screen before Titan managed to get an art-of-the-movie tome out to coincide with the shiny-disc release) but this one seems to have been largely overlooked and never reprinted.